Is this con really in a mall? Yes! The Valley Fair Mall in West Valley City has generously offered facilities for this show! The guest hall will be separated from the general mall traffic to give the feel that you expect from a great comic con and will require a wristband or VIP badge to enter. Wristbands are available for free at the show; or avoid lines by pre-registering HERE. What can I expect at Wasatch Comic Con? Wasatch Comic Con is a con that exists to bring fans together with the people who have created their favorite characters, stories, and franchises. We have an incredible list of guests from your favorite franchises to new independent talents to become your next favorites. We will also feature live podcasts, entertainment stages, photo ops, props, cosplay, panels, vendors, and much more! Is this con actually free? Yes! There is no charge for basic attendance. Our goal is to make being a fan as accessible as we can! There are some amazing VIP options available on our website that offer great benefits as well. How is it possible to put this event on for free? We have received some great support from our sponsors The Valley Fair Mall, The Nerd Store, and Resolute Tattoo this year and are always looking for great corporate partners. We will also have a multitude of great exclusive products that you can only find at Wasatch Comic Con and lots of great books, statues, toys, and products for you to look through! How can I help support Wasatch Comic Con? Thanks for asking! The best thing that you can do is tell everybody that you know, help us spread the word, pre-register for tickets, and support the guests that made this possible by taking a chance on a new type of Comic Con. The better experience our guests have, the better we can do getting great guests for future events. Purchasing VIP packages and exclusive products also helps to financially support the con, as well as getting you some amazing items! We also need a team of dedicated volunteers to help spread the word and assist our guests and attendees during the show. Please visit our website at CLICK HERE (link to volunteer application) if you would like to volunteer! 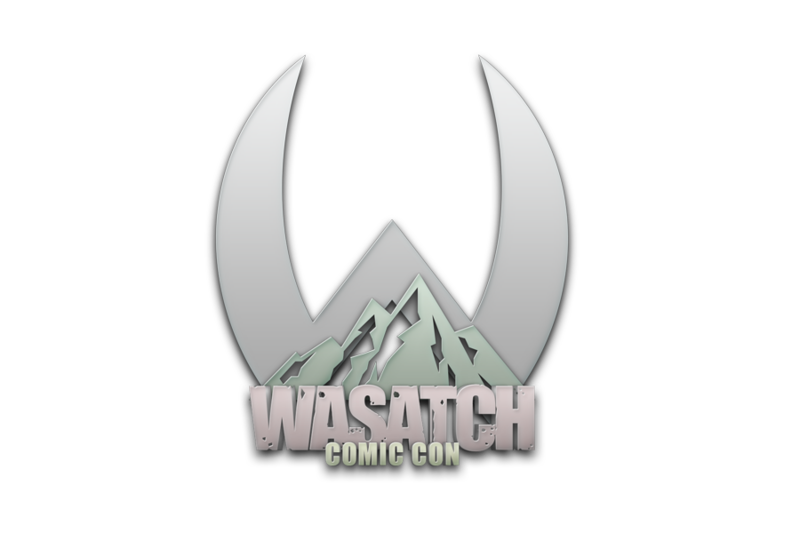 What are the hours of Wasatch Comic Con? Friday 12:30 P.M. – 7:00 P.M.
Saturday 10:30 A.M. – 7:00 P.M. Doors open half hour early for VIP badge holders. Some guests may not be at their booths for early VIP entry and will have signing schedules that are subject to change at any time. Can I cosplay at this event? Of course! What would a con be without cosplay? Being in a mall there will be some restrictions on what cosplays are allowed. Details should be announced soon on Facebook and on our website at Wasatchcon.com.